Unusually the formation of Association Sportive Marck can be traced back to a time when World War II was well and truly in full swing. In June 1941 three local men, Leon Delplace, Theo Clouet and Albert Petitpont decided it was time this small town in the suburbs of Calais had its first sports club. Currently the club has three other sections besides football. The club also fields teams in cycling, athletics and bocce, a derivative of petanque. 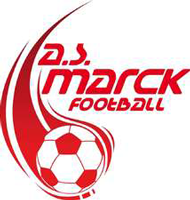 The 2000’s were a successful period for Marck as they rose from the regional leagues to the CFA2 division (Pool A) which is the fifth tier of French football for the 2006/07 season. They were promoted to CFA1 for the 2009/10 season but slipped back down after just one season, finishing 18th in the table. The club suffered a further relegation at the end of the 2011/12 campaign but returned from the regional Division D’Honneur at the first attempt. However this season Marck sit just above the relegation places. 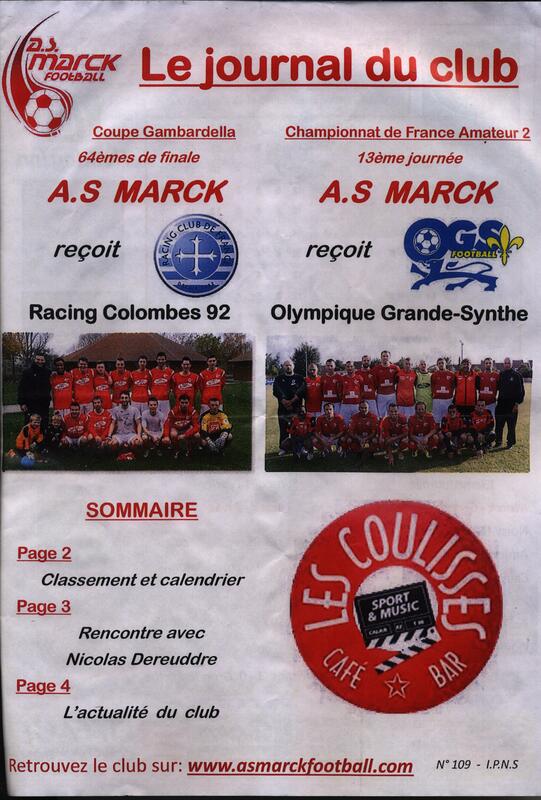 While the 2011/12 campaign ended in relegation the season will live long in the memories of the Marckois as they enjoyed a fantastic run in the Coupe de France. The Reds had battled their way through the four qualifying rounds that CFA2 clubs face before being drawn away to Aire-sur-la-Lys in the seventh round. 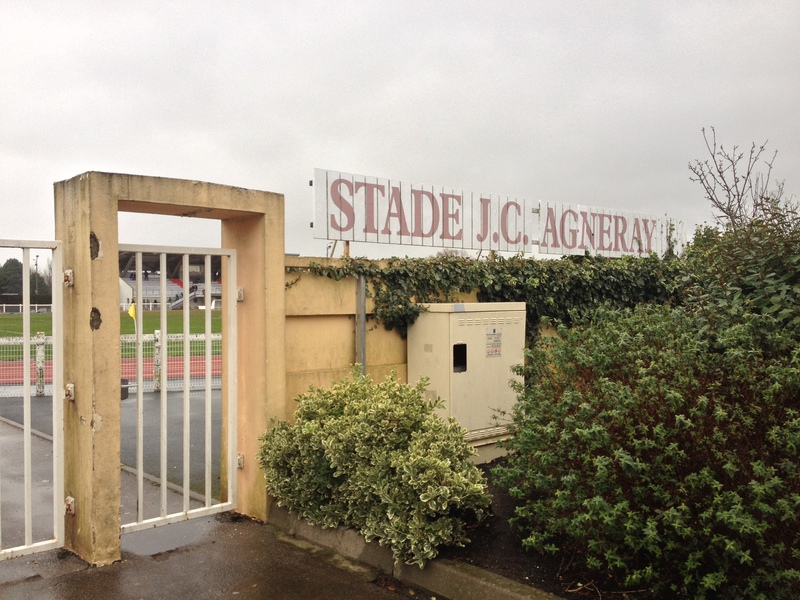 A slender 1-0 win saw them draw Ligue 1 side Reims in the next round. A marvellous 2-1 victory saw the minnows into the pot for the round of 64 draw. Again they were paired against top flight opponents in the form of Olympique Nice. 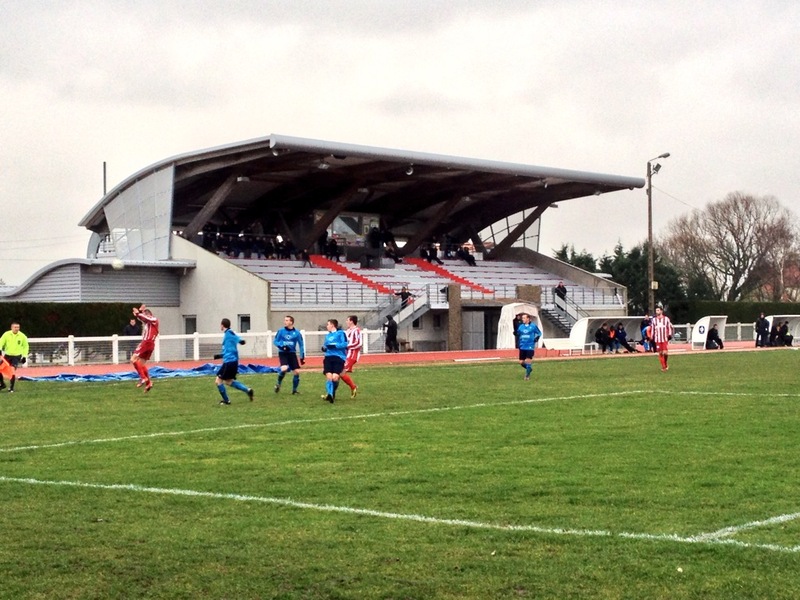 The brave Marckois went down two nil to their visitors in a match staged in front of 7,000 spectators at Racing Calais’ Stade de L’Epopee. 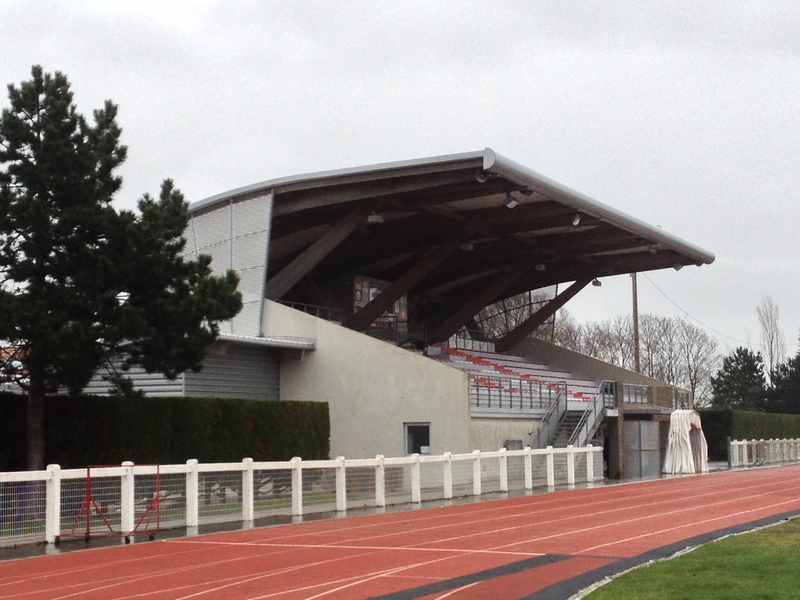 The Stade Jean-Claude Agneray, named after a local mayor, is a very modern facility sporting a most curvaceous and well made stand, the wooden beams firmly bolted into place supporting the roof. Though visually stimulating, the curves and open front mean that in inclement weather the 800 seater is rather drafty. Today is about Marck’s second string who compete at the eighth tier in the Nord Pas de Calais Ligue Promotion D’Honneur. Sadly they currently lie equal bottom of the table having endured a torrid season to date. Today’s visitors are the first team of St.Pol-sur-Ternoise, a small town near Arras. The visitors start the game in fourth place. Given the positions in the table it’s no surprise that it’s the visitors that seize the initiative. After battering the home goal throughout the first half they take the lead when Aurelién Thellier thumps the ball into the net with some relish. Two minutes into the second half and the visitors double their lead when Christophe Lagache outpaces the home defence and finds the net with ease. Marck then enjoy their best spell of the game and visibily grow in confidence. On 61 minutes they reduce the arrears when Jordan Betaz’s powerful shot takes a wicked deflection off Cyril Bridoux leaving the visiting goalkeeper with no chance at all. Try as they might the home side cannot force an equaliser, Julien Baude’s frustration getting the better of him as he earned a second yellow card in injury time. 1. Antoine Fermon; 2. Remi Wasilewski; 3. Gaetan Piedbois; 4. Alain Delcroix; 5. Ivan Cieslik; 6. Mickael Magniez ©; 7. Jordan Betaz; 8. Samy Amrainisaid; 9. Victor Bayart; 10. Julien Baude; 11. Dimitri Pepin. Subs: 12.Remy Bruneval (for 6,22 mins); 13. Anthony Mercier (for 3,60 mins); 14. Jordan Bourigeaud (for 4,73 mins). 1. Christophe Dupont; 2. Sylvain Sargis; 3. Maxime Petit; 4. Sébastien Douay; 5. David Bridoux; 6. Cyril Bridoux ©; 7. Mathieu Bauchet; 8. AureliénThellier; 9. Christophe Lagache; 10. Jérémy Bouchard; 11. Ghabi Ouapieu. Subs: 12. Edwin Robbe (for 2,86 mins); 13. Mathieu Devineaux (for 8,57 mins); 14. Nicolas Choquet (for 11,66 mins). 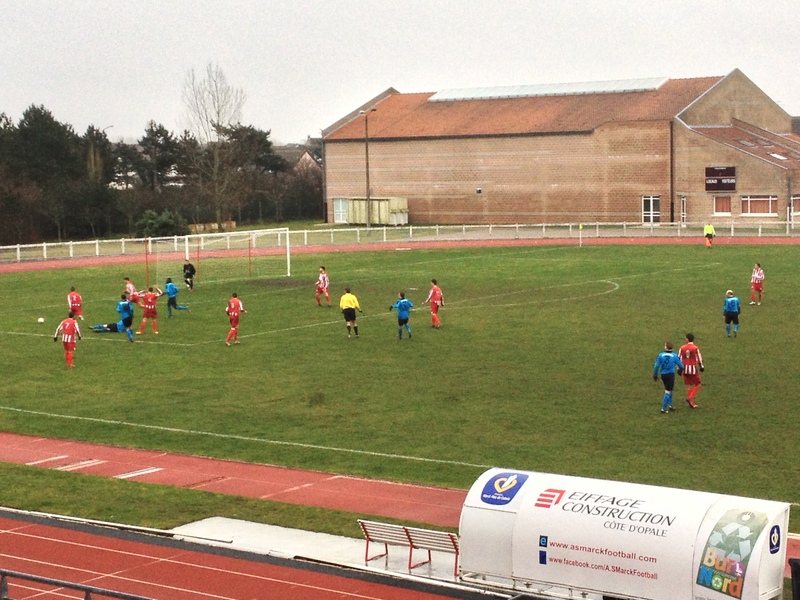 Yellow Cards: Magniez, Amrounisaid, Bayart, Baude (all Marck); C.Bridoux and Ouapieu (St.Pol). 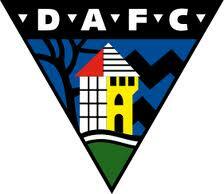 Dunfermline Athletic were formed in 1885 and have always played at East End Park. The club were formed out of a cricket club based at Lady’s Mill (now McKane Park) and acquired the land that became the current East End Park for £3,500 in 1920 from the North British Railway Company. Prior to this the original orientation of the ground was further to the west of the current site. 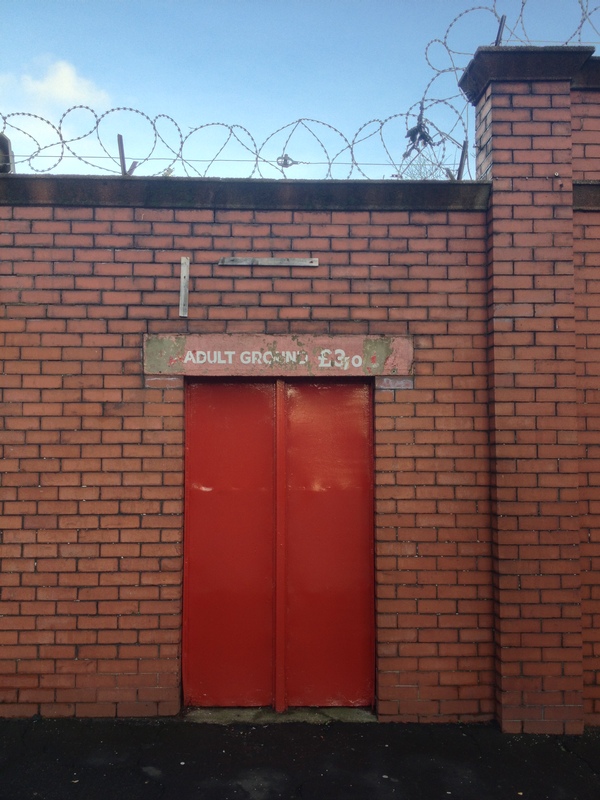 Similarly to many Scottish stadiums, the club garnered vital additional income during the Great Depression of the 1930’s by reconfiguring the ground to cater for greyhound racing. 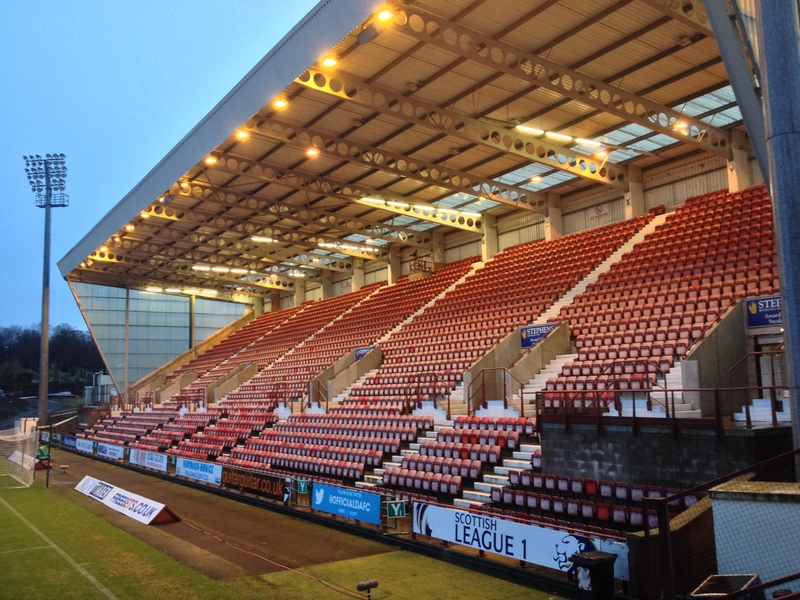 It was in this decade that the club bolstered existing terracing with wood salvaged from the great ocean liner RMS Mauretania which was being broken up at the nearby dockyards of Rosyth. The 50’s and 60’s saw some welcome modernisation which allowed a record attendance of 27,816 for the visit of Celtic in April 1968. 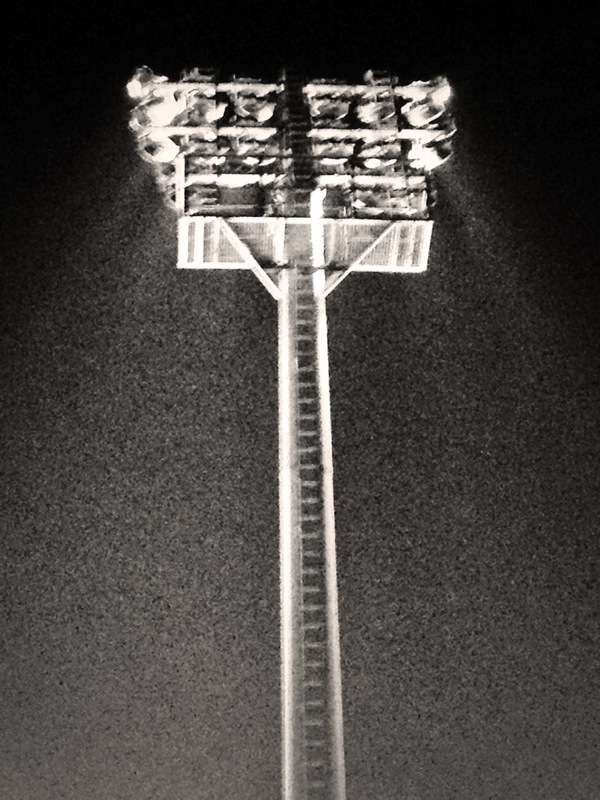 The occasion was tempered by chaotic scenes of spectators scaling the floodlight pylons for a better view. One man subsequently died from his injuries after falling off. 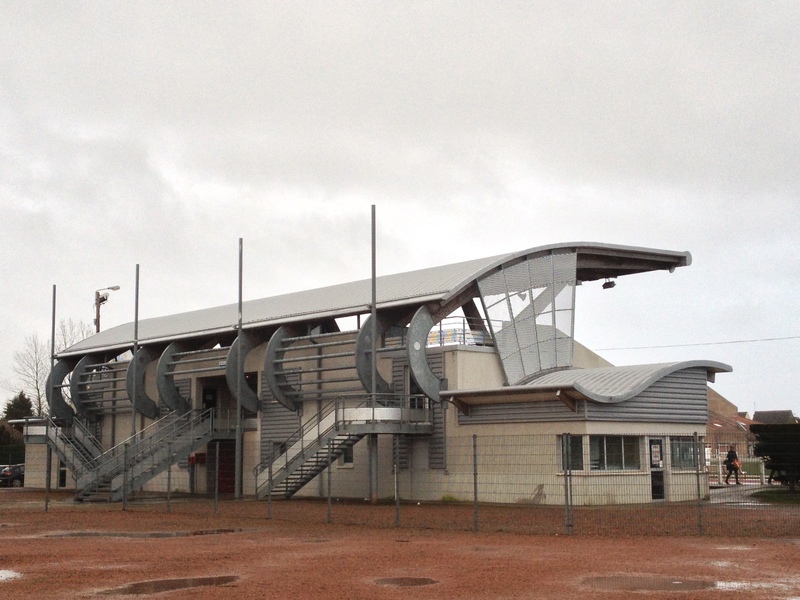 The ground was significantly redeveloped during the late 1990’s and became the superb all-seater venue it is today. 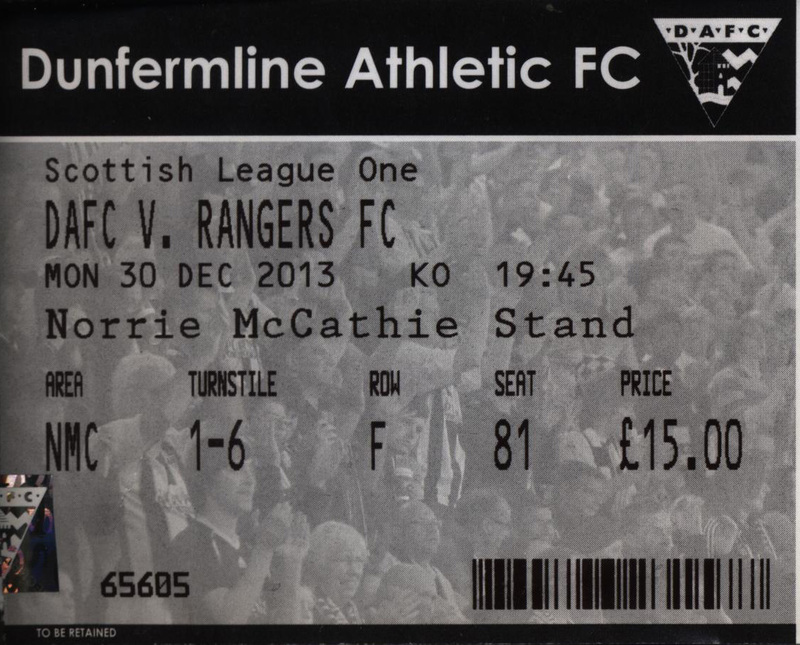 In 1998 the club named a stand after the clubs record appearance holder, Norrie McCathie, who had died two years previously at the age of 34, along with his girlfriend, after carbon monoxide escaped while they slept at home. 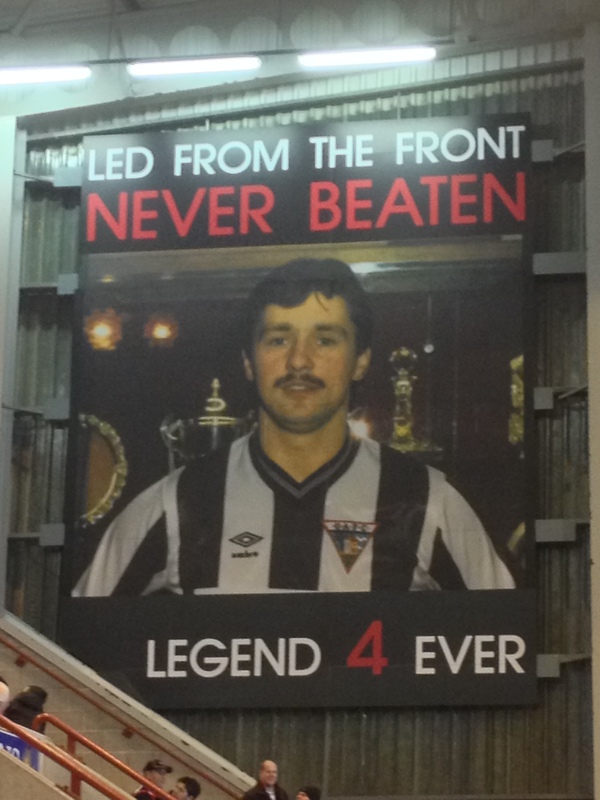 His image adorns the stand and McCathie is revered for his battling spirit among the Pars faithful. It is a privilege to take my seat in his stand tonight, for here is a genuine leader and legend. The club were originally nicknamed “The Dumps” but this was superseded by “The Pars” which has a plethora of folklore as to its origin. Theories espoused include their traditional parallel black pinstriped shirts, a corruption of the word “paralytics” based on their celebrated drinking prowess or indeed their parallel style of play. The club’s iconic badge is worthy of mention, designed in 1957 by an art teacher at the local High School. The eye catching design depicts the local monument of Malcolm Canmore’s Tower in Pittencrieff Glen. The Pars golden era came undoubtedly in the 1960’s when under the guidance of Jock Stein they became regulars in the UEFA and Cup Winners Cup. 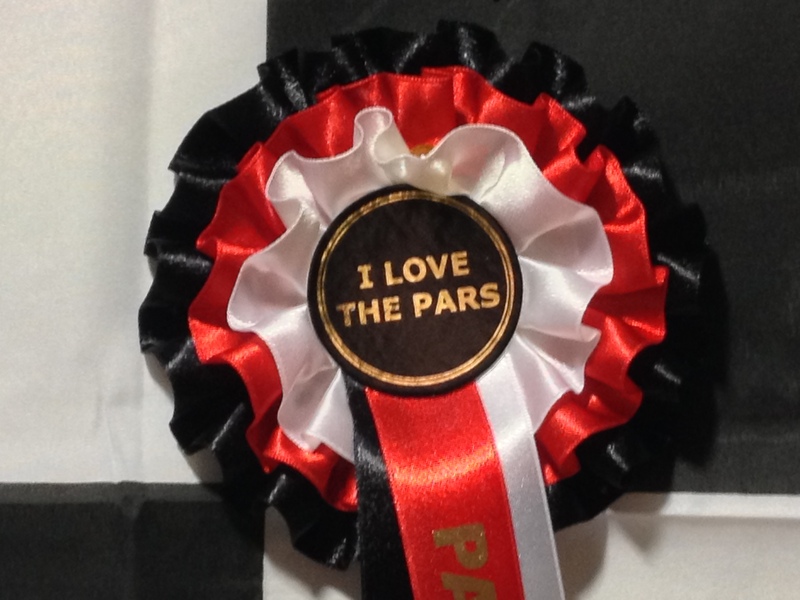 Nowadays the Pars find themselves in the third tier and have thankfully survived some severe recent financial problems. 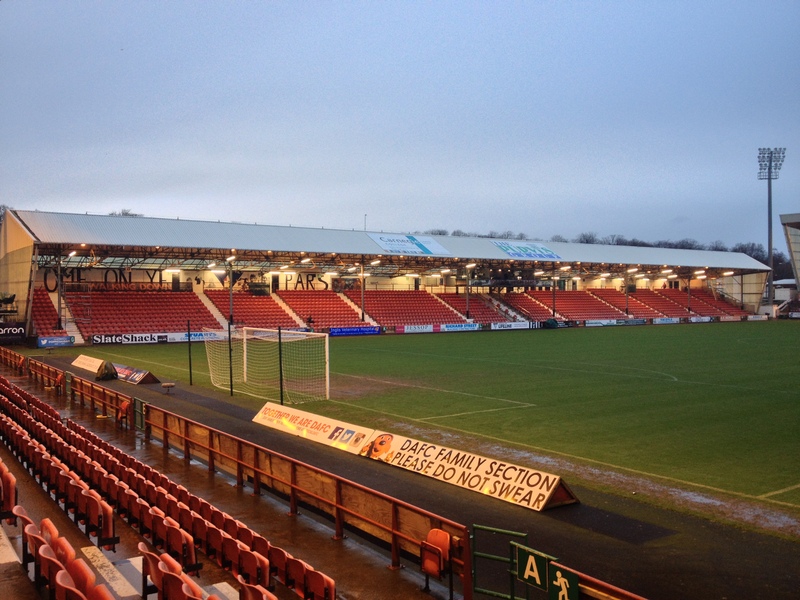 Tonight is a big night for the Pars and indeed the League One table. The Pars are second trailing runaway leaders Rangers who boast maximum points from their 16 League games to date this season. The Sky Sports cameras are in town as the Halbeath Road throngs excitably with East End boys and East End girls plus a truly impressive turn out from the visitors. 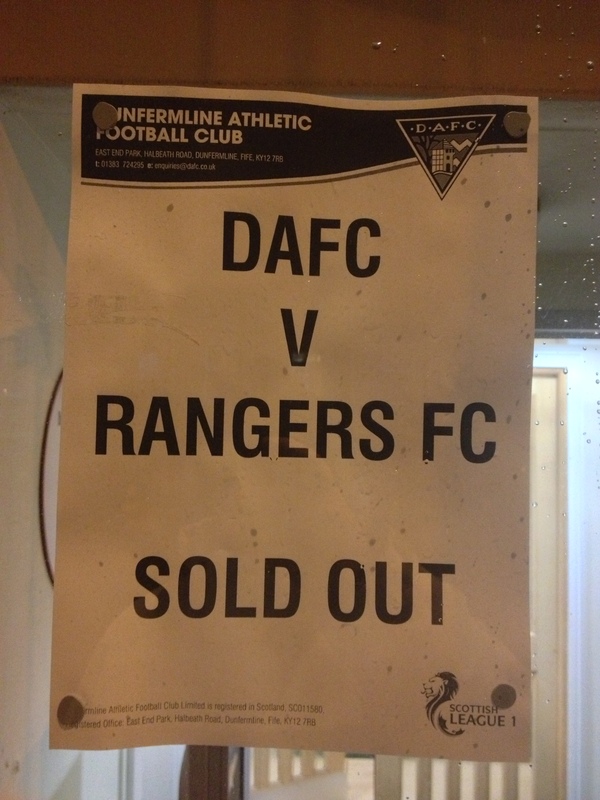 The “Sold Out” signs go up and the Dunfermline coffers jangle with some very welcome revenue in what has been a particularly austere time for the club. The opening fifteen minutes are even as both sides have chances, however once Fraser Aird bursts clear from the home defence after 22 minutes and finishes with great style, the visitors take a keen grip on proceedings. They rattle in three high quality goals in the second period and are good value for the win which extends their lead in the table to fourteen points. You do have to take your hat off to Rangers who have just rolled their sleeves up and got on with things since they paid a heavy price for financial mismanagement. The Pars however can hold their heads high, a young team under the guidance of the wily veteran Jim Jeffries, have performed well under a cloud of financial constraint. 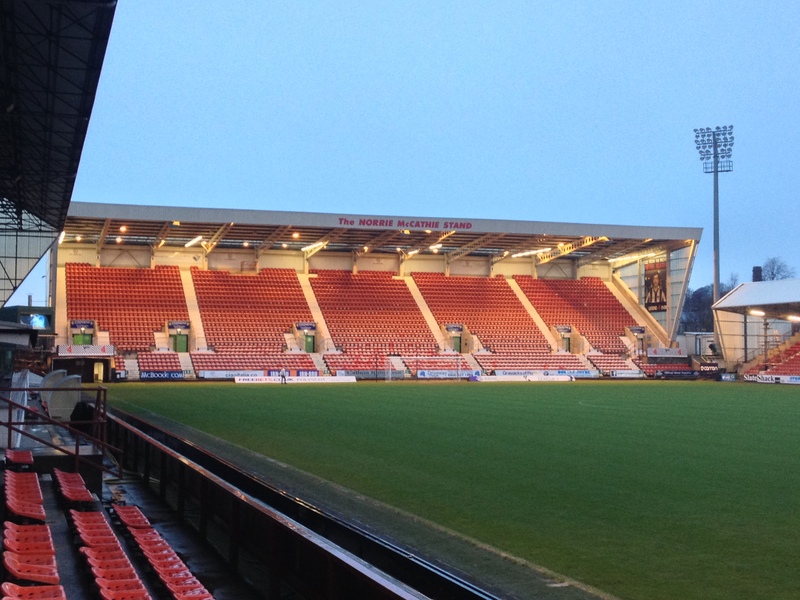 Dunfermline will challenge for promotion until the end of the season. The spirit of Norrie McCathie, both on and off the field, is evident for all to see. 1. Ryan Scully, 2. Ryan Williamson, 3. Alex Whittle, 4. Stephen Husband, 5. Kerr Young, 6. Lewis Martin, 7. Andrew Geggan, 8. Shaun Byrne, 9. Ryan Wallace, 10. Josh Falkingham (c), 11. Jordan Moore. Subs: 12. Lewis Spence (for 2,89 mins), 14. Allan Smith (for 8,77 mins), 15. Craig Dargo, 16. Faissal El Bakhtaoumi, 17. Chris Kane, 18. Ross Drummond, 19. Robin Goodfellow. 1. Cammy Bell, 2. Sebastien Faure, 3. Bilel Mohsni, 4. Steven Smith, 5. Lee Wallace, 6. Lee McCulloch (c), 7. Fraser Aird, 8. Ian Black, 9. Jon Daly, 10. Nicky Clark, 11. Nicky Law. Yellow Cards: Falkingham, Young, Geggan (Dunfermline), Mohsni and Aird (Rangers). 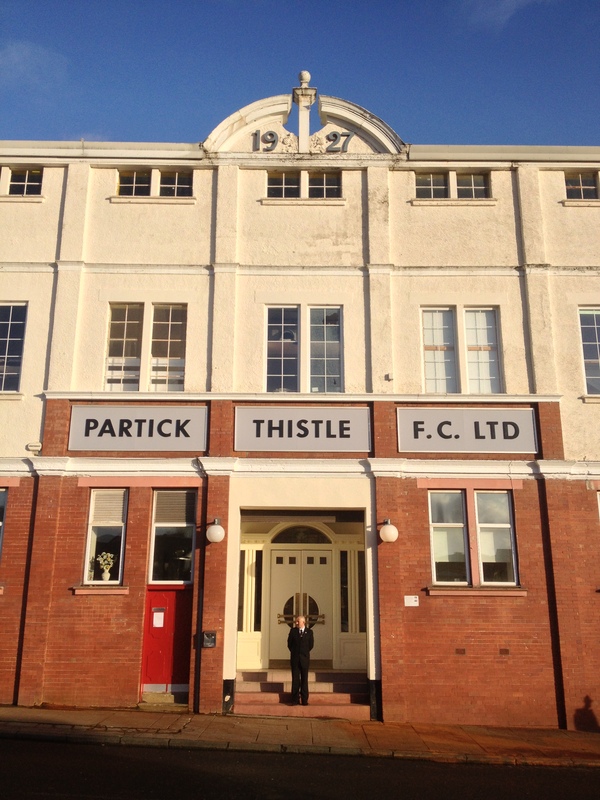 Partick Thistle were formed in 1876 and initially led a nomadic existence playing at Kelvingrove, Jordanvale Park, Muir Park and Meadowside. The latter field was on the banks of the Clyde and by 1908 was needed for a new shipyard. The Jags had acquired land owned by the Caledonian Railway in Maryhill for the princely sum of £5,500. The new stadium was ready to be used in August 1909 but occupation had to be delayed for a month when it was discovered the club had failed to apply for a safety licence and, indeed, planning permission for the new ground. 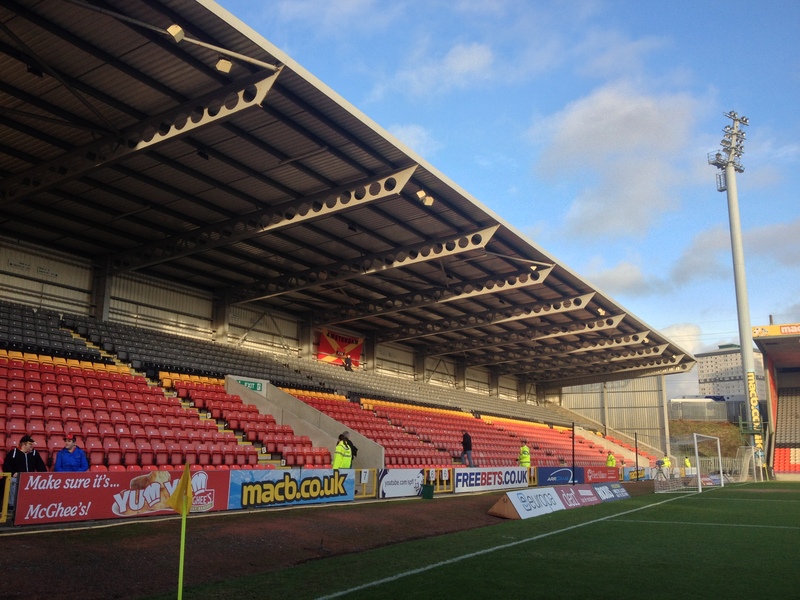 With all boxes belatedly ticked Firhill opened for business and by 1922 had set its all time record attendance for a Partick Thistle match when 49,838 crammed in for a match against Rangers. The present main stand dates from 1927, a detail nicely remembered on the ornate roof pediment above the main entrance. The stand itself is very similar in design to those of the legendary stadium architect Archibald Leitch and with good reason. 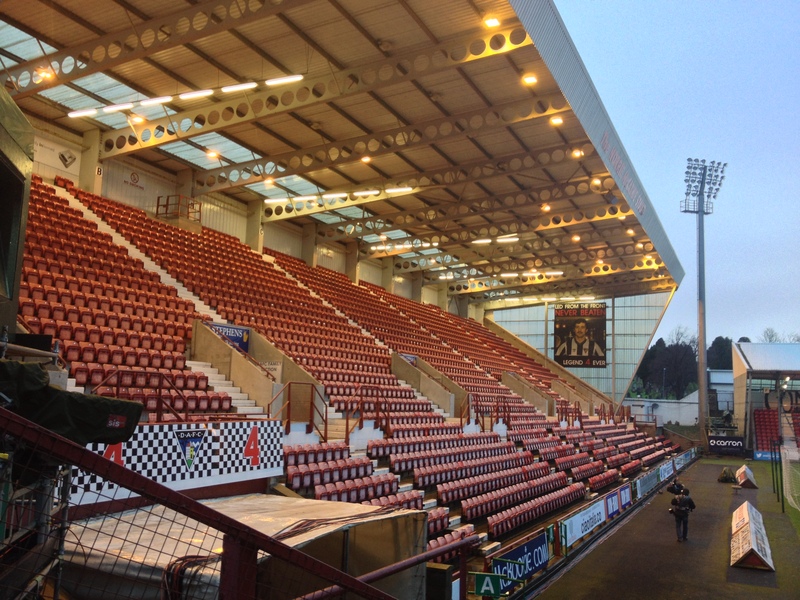 The stand was designed by David Mills Duncan a one time employee of the great man. Within a year of the new stand’s inauguration the attendance record was shattered when 54,728 were present for a Scotland v Ireland British International Championship match. After a spell being converted to accommodate greyhound racing in the 1930’s Firhill became one of the great Scottish grounds. 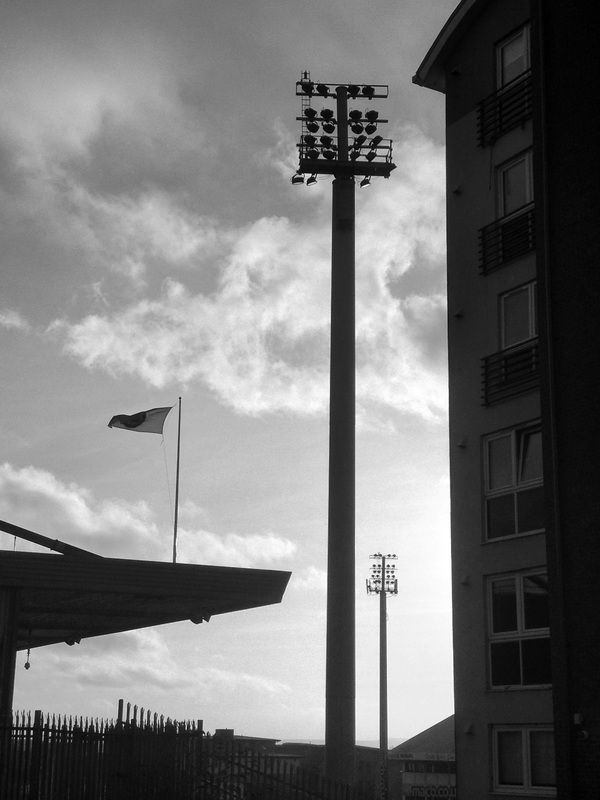 The 1950’s saw on field success matched with improving infrastructure, terracing was partially roofed and floodlighting arrived in 1955. 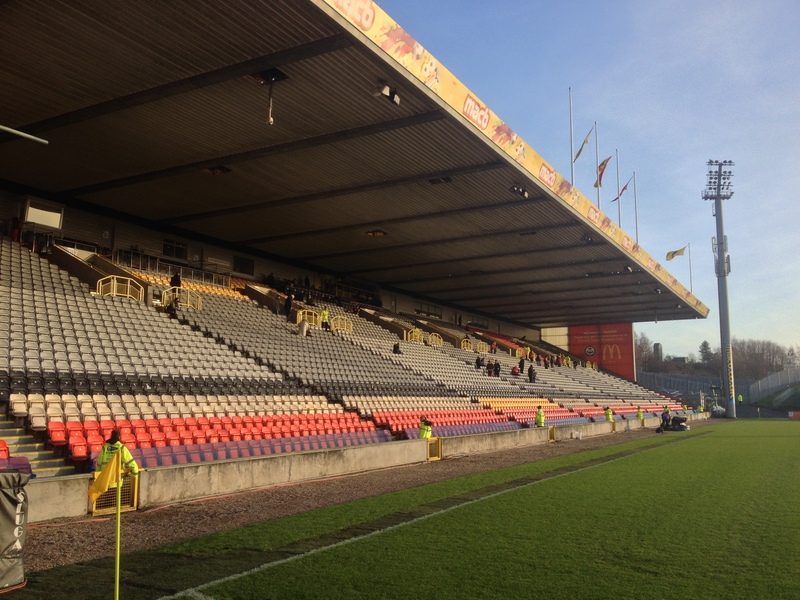 Over more recent times, Clyde, Hamilton Academicals and the Glasgow Warriors rugby union side have shared the facilities at Firhill. The tightening of safety laws for sporting venues saw the stadium’s capacity savagely cut and modernisation was deemed the way forward. 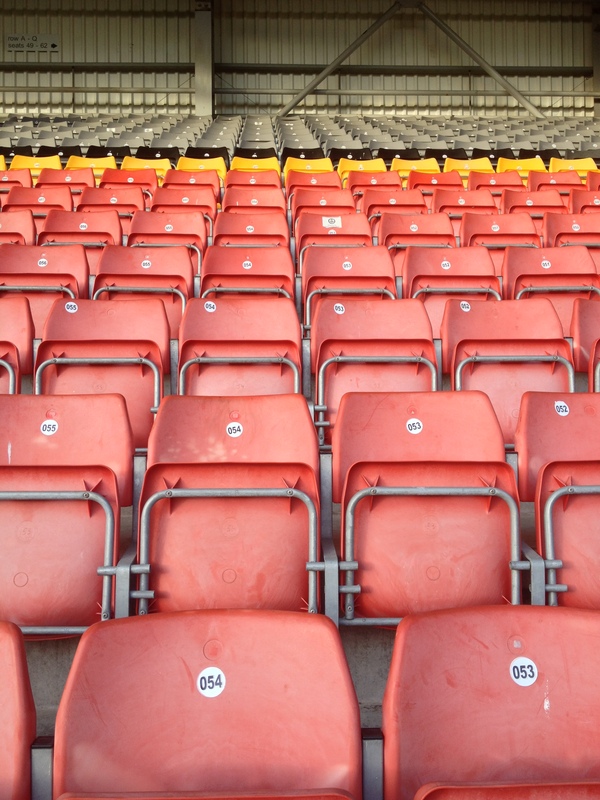 First to arrive, in 1994, was the Jackie Husband stand housing over 6,000 spectators. 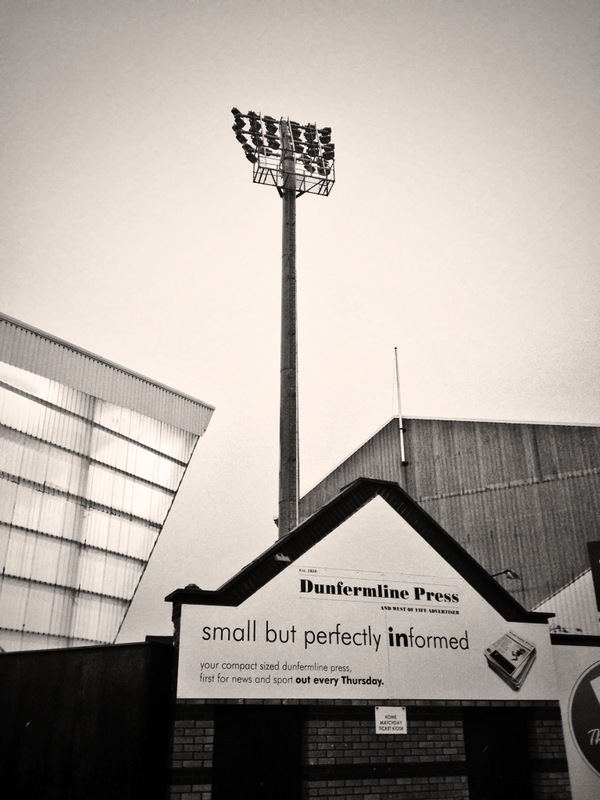 More recently the North Stand was replaced with a new 2,000 seater cantilevered stand. The opposite end, the City End, was supposed to have a new 1,000 seater stand but bafflingly the council refused planning permission. 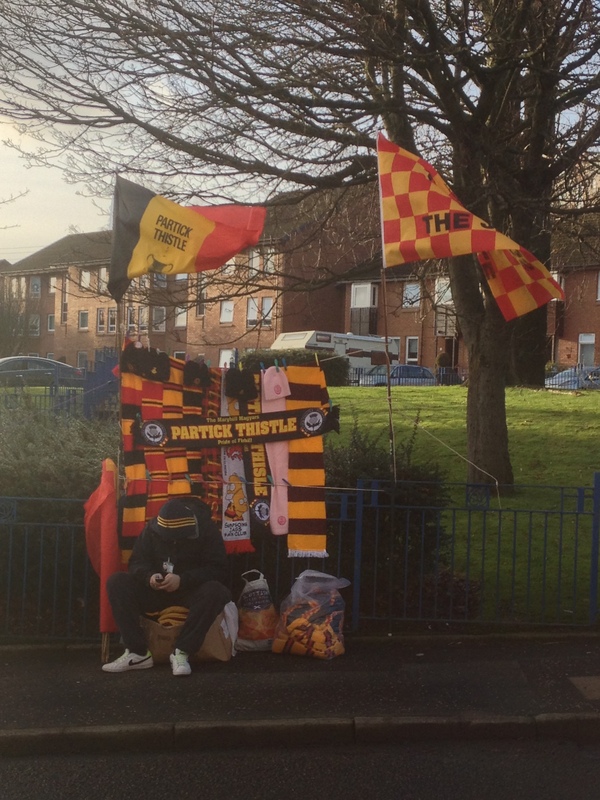 The end is now an empty grassed bank strewn with advertising, the Jags fans have called it “The Bing”. 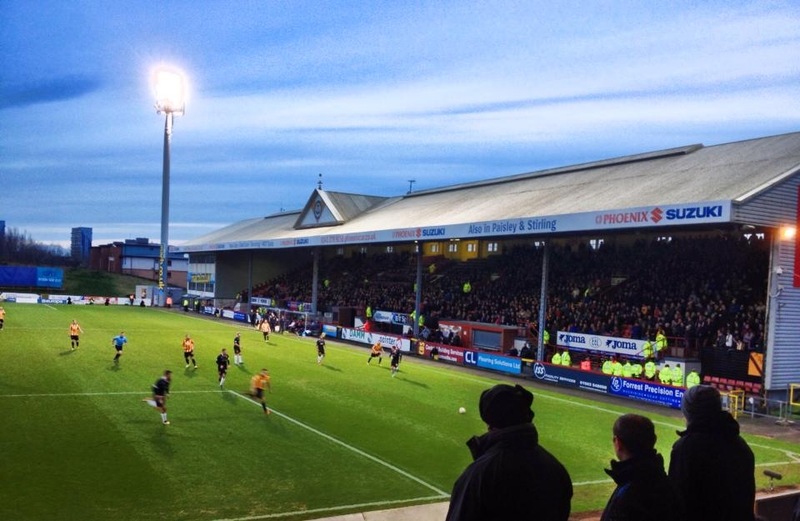 These days the away fans are housed in the old main stand and, today it is well populated by travelling Motherwell fans. They prefer a more European style of support, drumming, bouncing and harmonising while the core of the Jags support in the North Stand prefer a more traditional chant, their acerbic wit coming to the for, especially the moments after Stephen Lawless opens the scoring for the home side. The whole stadium, both sets of supporters, then breaks out into heartfelt applause marking the sixth anniversary of the tragic death of Phil O’Donnell. The Motherwell icon who suffered a fatal heart attack playing against Dundee United in 2007. 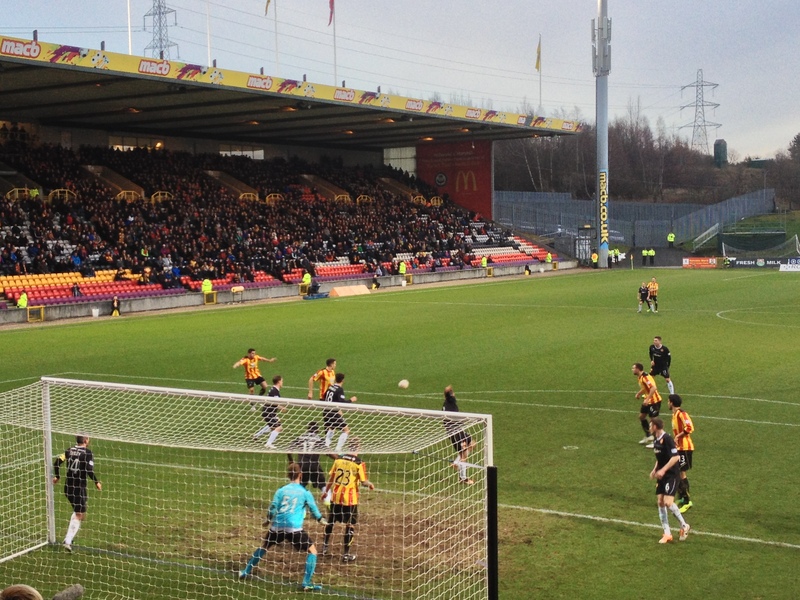 After this touching and shared moment its one way traffic as Motherwell rattle in five super goals without Thistle ever looking like ending their winless home hoodoo. It was good to pick up a copy of “Sick in the Basin”, the reborn Jags fanzine lost in action for many years. It was a great experience sitting in a vocal crowd that didn’t stop supporting their team despite a severe beating. 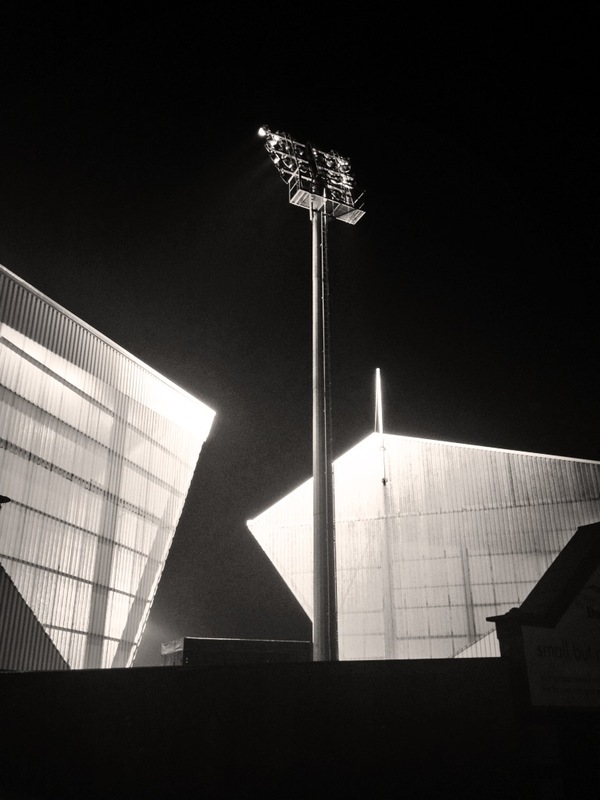 Despite piecemeal modernisation and the missing end, the retention of the Leitch-esque stand and its roof gable gives that warm glow of more halcyon days for the Jags. 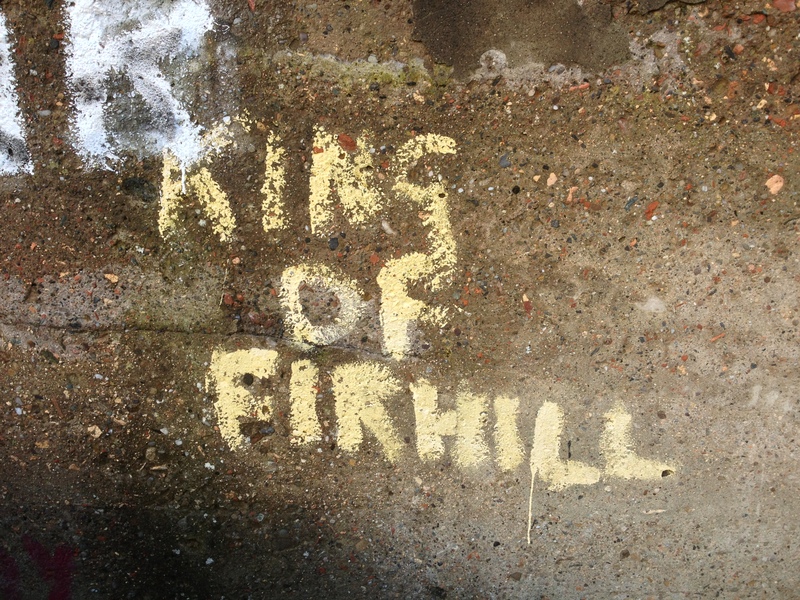 And as for the new King of Firhill? Well on today’s showing, he is still awaiting coronation. 1. Scott Fox, 2. Stephen O’Donnell, 3. Aaron Taylor-Sinclair, 6. Conrad Balatoni, 7. James Craigen, 8. Stuart Bannigan, 9. Kris Doolan (c), 11. Stephen Lawless, 13. Gabriel Piccolo, 14. Christie Elliott, 23. Kallum Higginbotham. Subs: 5. Aaron Muirhead, 10. Ross Forbes (for 14,27 mins), 12. Paul Gallacher (for 11,60 mins), 17. John Baird, 20. Mark Kerr, 29. Lee Gallacher, 31. David Wilson. 51. Dan Twardzik, 14. 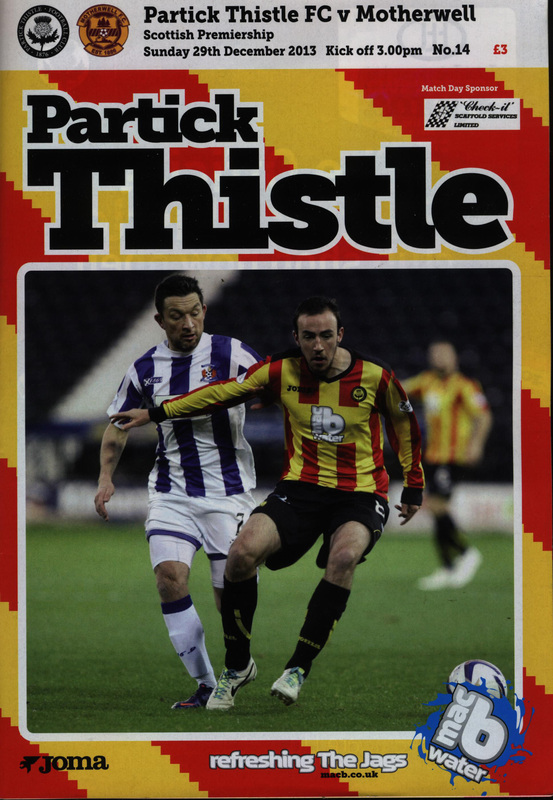 Keith Lasley (c), 3. Steven Hammell, 4. Simon Ramsden, 6. Stephen McManus, 17. Zaine Francis-Angol, 18. Stuart Carswell, 24. Henri Anier, 25. Lionel Ainsworth, 7. James McFadden, 11. Iain Vigurs. Subs: 8. Paul Lawson (f0r 18,75 mins), 9. John Sutton (for 24,57 mins), 12. Gunnar Nielsen, 15. Adam Cummins, 16. 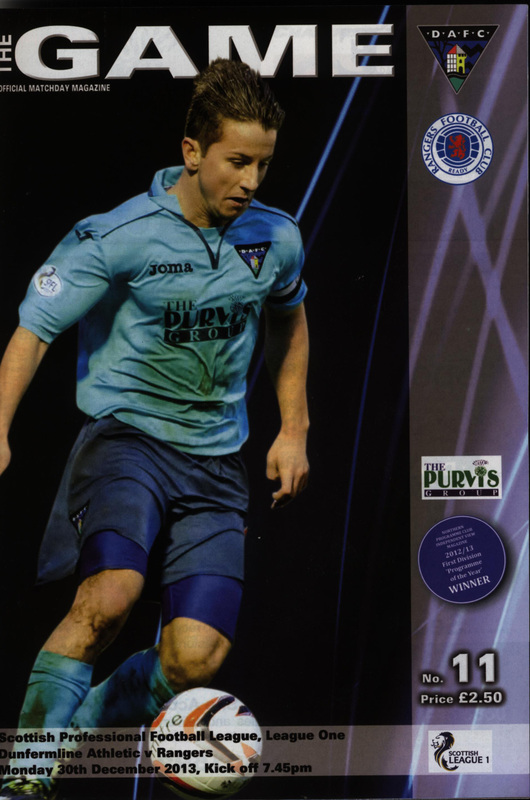 Robert McHugh (for 7,79 mins), 22. Craig Moore, 23. Euan Murray.